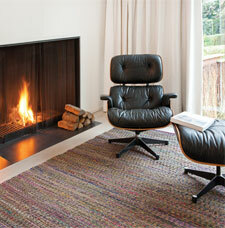 Planet is a range of designer rugs made of a mixture of rubber or polyester and other natural recycled fibers. The rugs are intricately flat-woven using various colours and also feature antique fringes. Each planet rug is unique; no two rugs are the same however they all carry the same look and feel.